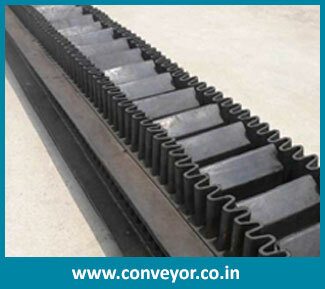 As being leading manufacturer and exporter of high quality conveyor belts, we offer conveyor belts with sidewall. Our vast series of sidewall conveyor belt is used in for many industrial applications for agriculture, textile, wood, steel, chemical, mining, ginning, food and beverages. Conveyor belts with sidewall make process and automation easy and quick by providing little support to product. It is built with space saving method. It can be made as per requirement for the varied applications. 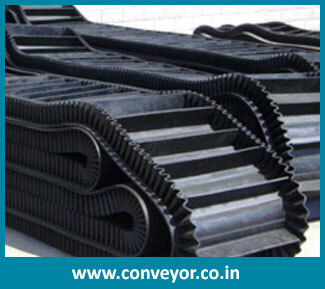 We also offer sidewall conveyor belts with the features like heat resistance, oil proof, abrasion resistant and contain high tensile strength. It is easy to install and easy to operate. 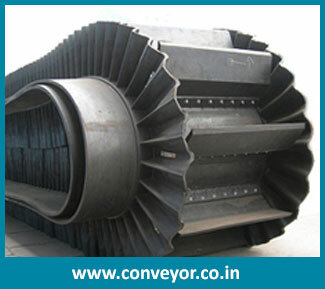 We offer sidewall conveyor belt with varied cover thickness to suit different industrial applications.